Convenient—and crucial—farm to plant connectivity. 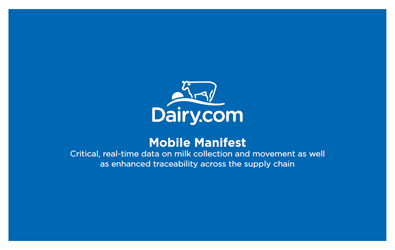 Mobile Manifest provides critical, real-time data on milk collection and movement as well as enhanced traceability across the supply chain. Mobile Manifest unites familiar, easy-to-use devices and worldclass software to provide detailed, electronic records tracking raw milk’s movement from farm to plant. 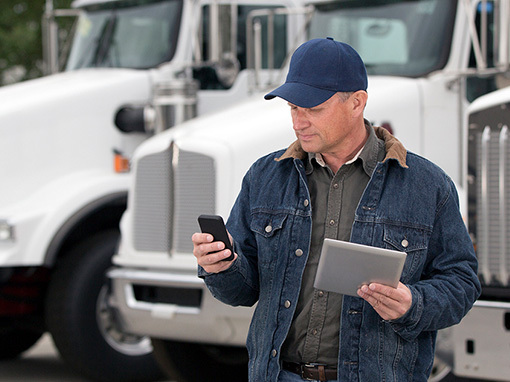 Leveraging multiple mobile platforms (Android and iOS) and multiple devices (phone and tablet), haulers upload milk pickup and delivery data to secure cloud servers. The platform streamlines data collection, minimizes errors, provides real-time monitoring, facilitates rapid communication and enhances traceability. Mobile Manifest is a milk supply chain powerhouse providing multiple benefits to haulers, handlers, processors and producers. A driver logs in and designates a route. Truck and tanker IDs, seals, and other fields are validated as they are entered. The producer is identified by scanning a bar code. Weights based on stick or scale are captured, and sample information may be entered manually or by bar code. Once pickup is completed, the hauler may move to the next producer or make delivery. The hauler receives a sign-off for accepted loads and marks delivery as complete. Integration with Dispatch will provide real-time visibility of truck locations, load details, and more. Mobile Manifest employs a user-friendly application on a familiar device. Making the switch is delightful, not disruptive. It’s fully customized for the farm milk pickup and hauling process. The interface is designed to be similar to paper forms. Fields are configured to intelligently provide appropriate input options, limiting mix-ups. Everything you need to know about Mobile Manifest in about 5 minutes. Available now for instant download. Manage your supply chain with today’s leading dairy app for manifests.